Something spectacular happened to me a few weeks ago, and I failed to mention it here on the blog. I’ve officially survived having triplets for three years! Yes, the boys had a birthday, along with their first birthday party thanks to the Make a Wish foundation. Having an older daughter, I have to admit that I’ve never seen a big difference in her development just because she had a birthday. Yet something strange occurred around the triplets’ birthday. It was as if a switch flipped. As if they realized that they were a year older, and all three of them starting behaving strangely more little kid like rather than toddler like. Pondering on this did make me a bit sad, but only momentarily. Moms can’t dwell on the growing up of their babies for too long in order to maintain their sanity. Instead, I decided to use this to my advantage. Perhaps it was time to introduce a few easy chores? I’m a big proponent of establishing a chore schedule for kids from an early age. This is for many reasons, but one awesome benefit to having extra hands helping out with chores is more snuggle family time all around! 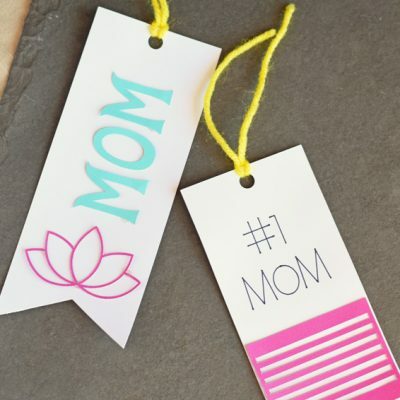 My kids love attention from my husband and me, and it can be hard to have enough for everyone AND maintain a household at the same time. By recruiting the kids with age appropriate chores, we can spend time with them while doing a bit of housework and have additional family time, as well. It’s a win-win for everyone! One of the best first household chores to introduce to kids is folding laundry. I began the boys this past week with folding wash cloths and hand towels. Every time I wash and dry a load of towels, we sit in a circle and they all help folding the smaller items in the load. For those that think 3 years old is too young, I have to tell you that they can all fold wash cloths after only a few lessons. I’m super proud of them! With my daughter, she is learning to put her clothes away and help with larger laundry items. One item that she has wrestled (and I mean, literally, wrestled) with has been folding a fitted sheet. 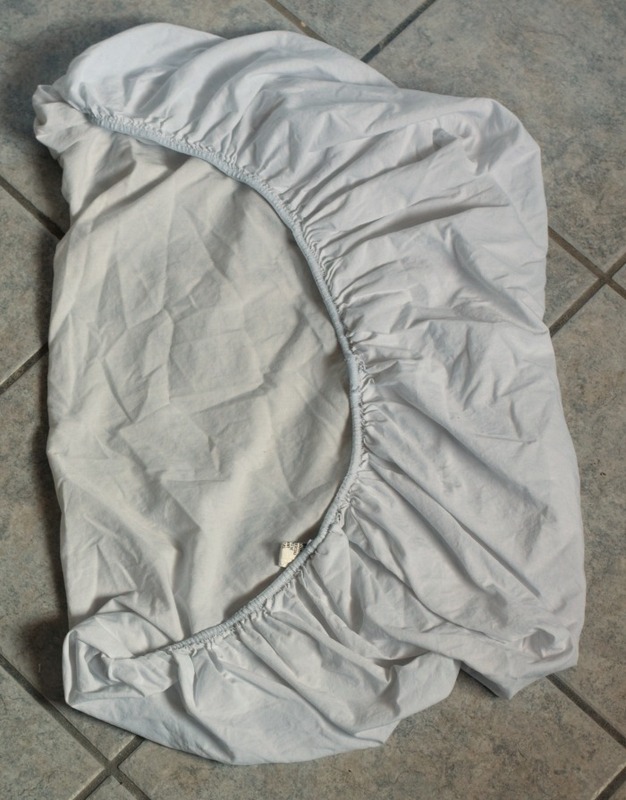 After a few tries, she typically resorts to the wonderful fitted sheet folding technique that all adults have done at some point in their lifetime- the fitted sheet ball. Don’t act like you don’t know what I’m talking about! I’m guilty of the fitted sheet ball stuffed into a drawer technique myself. 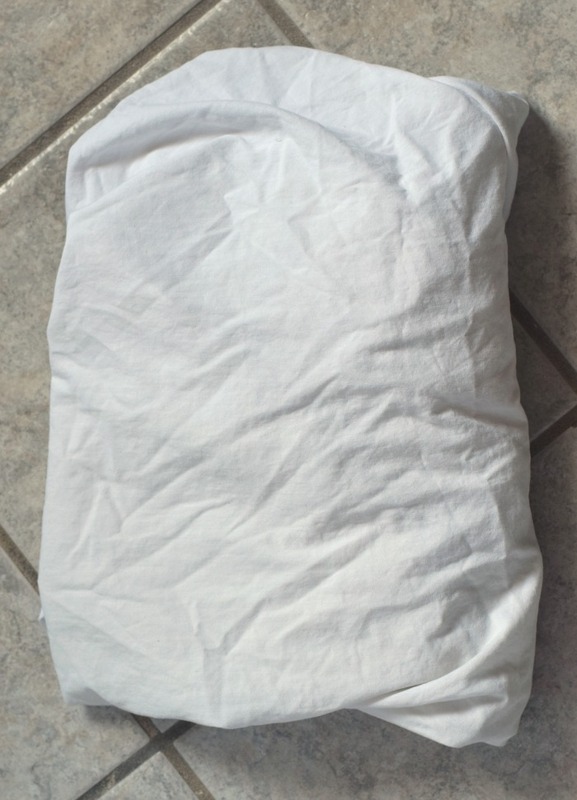 So my daughter and I had a recent lesson on something everyone wonders at least once– How to Fold a Fitted Sheet. 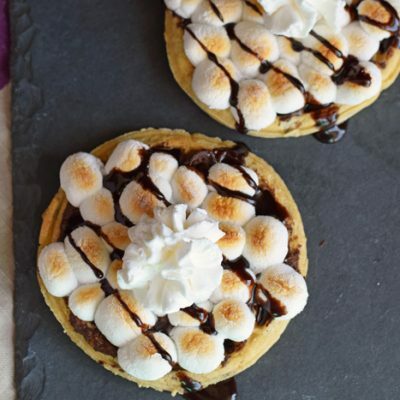 Smooth the sheet out on a flat surface. I’m using the floor in this photo, but that is only so that I can get a good photo from above. 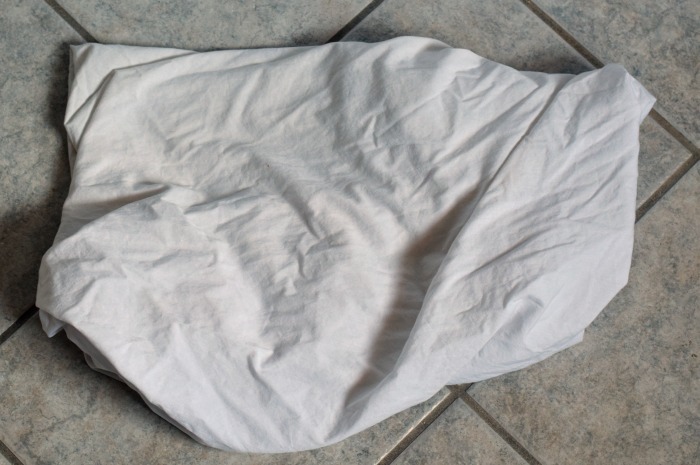 Unless you clean your floors frequently, spread the sheet out on a table or bed. 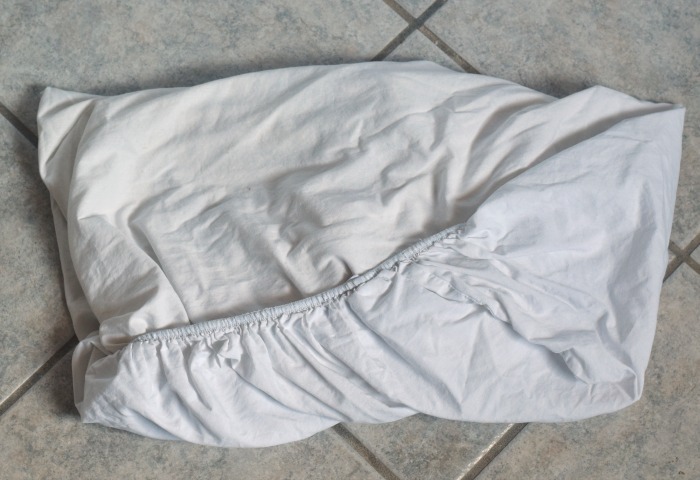 Fold the sheet in half horizontally. 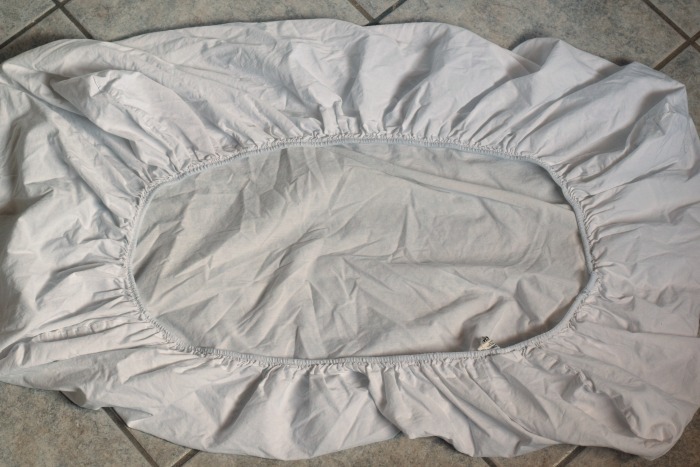 Tuck one edge into the elastic of the other, smoothing the sheet as you go. 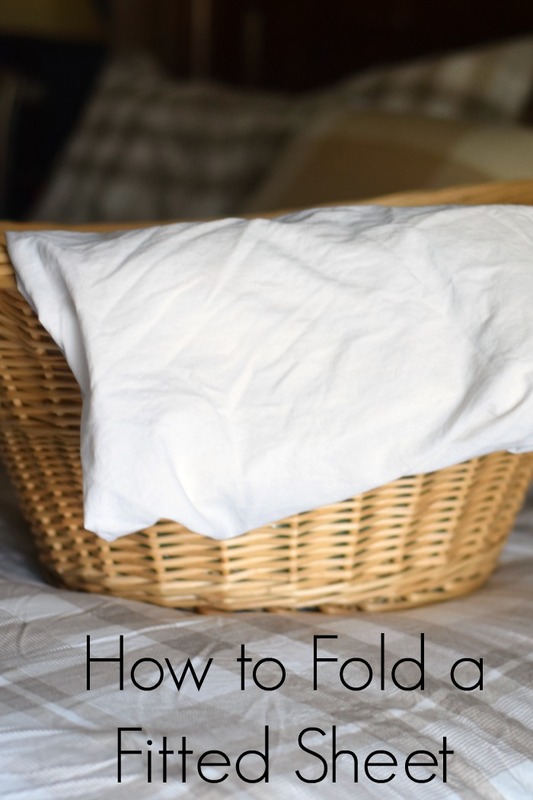 Fold the sheet in half vertically. Again, tuck the edge of the upper portion into the elastic of the lower portion. Fold the sheet in half, matching the edges and smoothing the sheet. 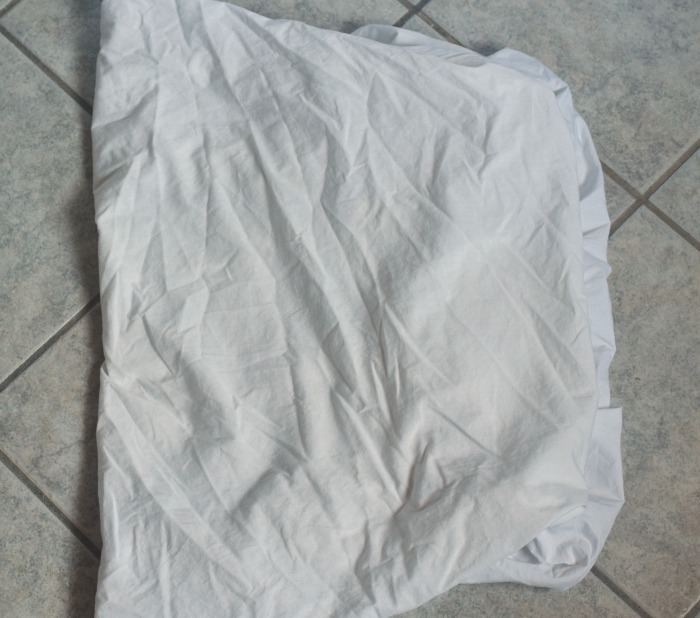 Depending on how large your sheet is, you may need to continue folding to compress it down to a size for storage. Good laundry care is something that is important for everyone to learn. We all develop our own laundry techniques over the years, and everyone determines what laundry care items are important to their family and which are not. For instance, I’m not apt to iron. But I think everyone should know how to do all of these things, regardless if it is a priority in your own household. 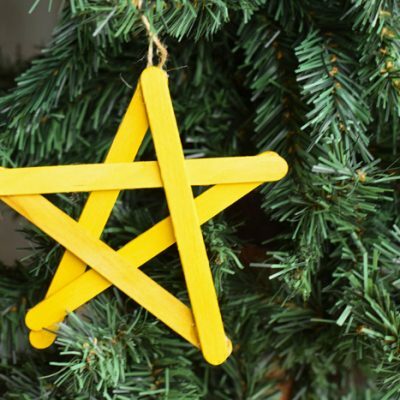 You never know when you may be called upon to help a family member around the house or assist a sick/elderly person in the church or on a mission’s trip. 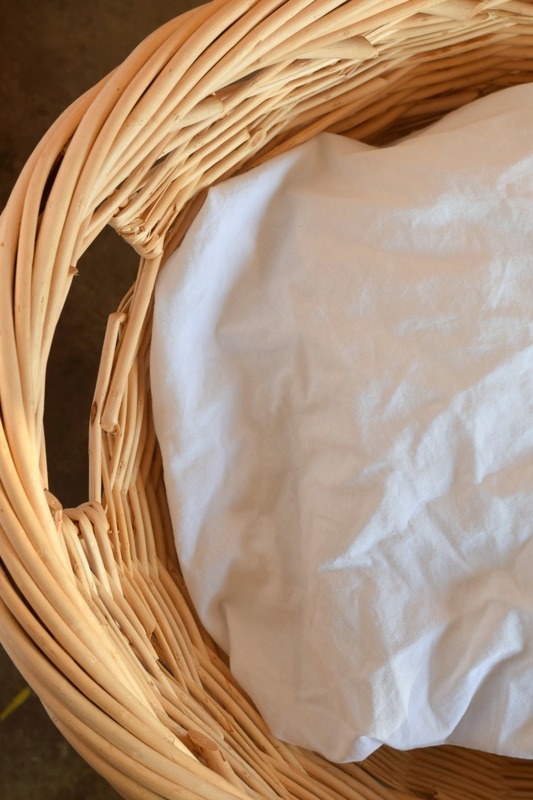 Knowing how to do simple household laundry tasks are great for everyone! Being familiar with laundry products is also a beneficial thing to know. 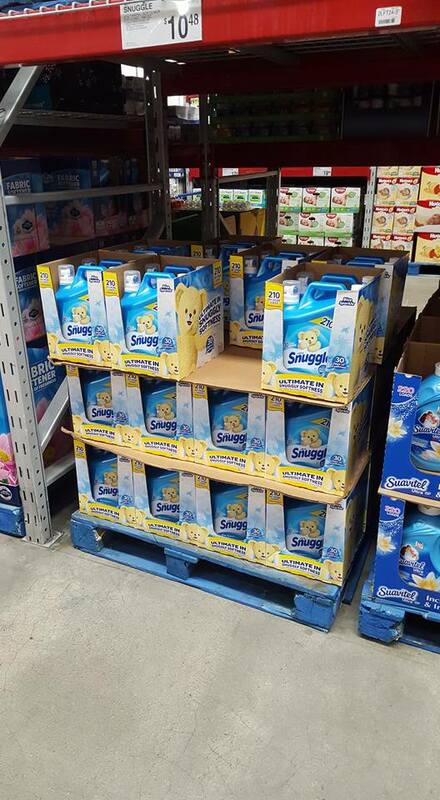 Two products that offer great benefits at an excellent value are Snuggle® Ultra Blue Sparkle fabric conditioner and the blue iris bliss® Snuggle Scent Boosters®. Layering the two together allows for softer fabrics that with a wonderful scent! 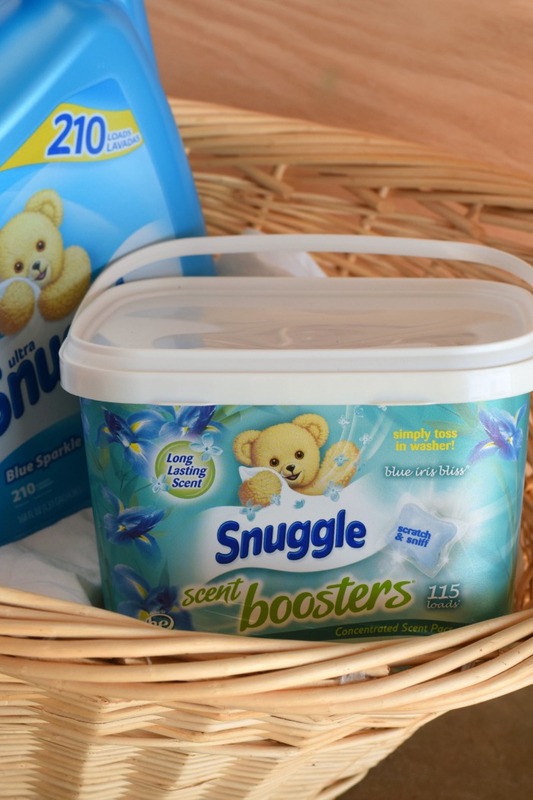 The blue iris bliss Snuggle Scent Boosters conveniently come in easy-to-use single packs. 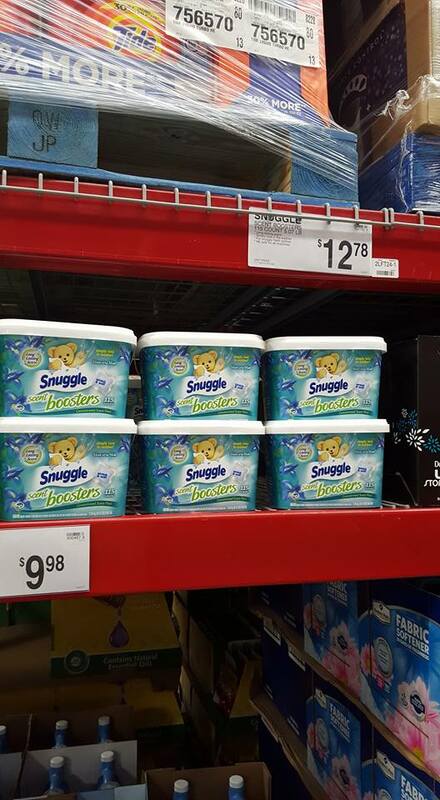 When using these, be sure to follow the directions on the package and loosely pack clothing in the washer when using Snuggle Scent Boosters to ensure all garments receive a long-lasting scent boost. If you are already a Snuggle lover looking for more opportunities to interact, you can join the Snuggle Bear Den – it’s FREE! Sign up, complete missions, share your opinions and be rewarded. Explore the site and update your profile so you can begin your first mission. 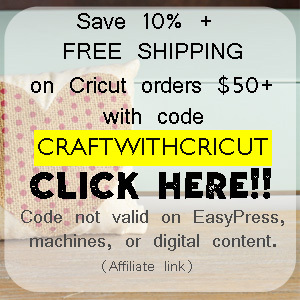 We purchase all of our laundry care products at one of my favorite places to shop- Sam’s Club! 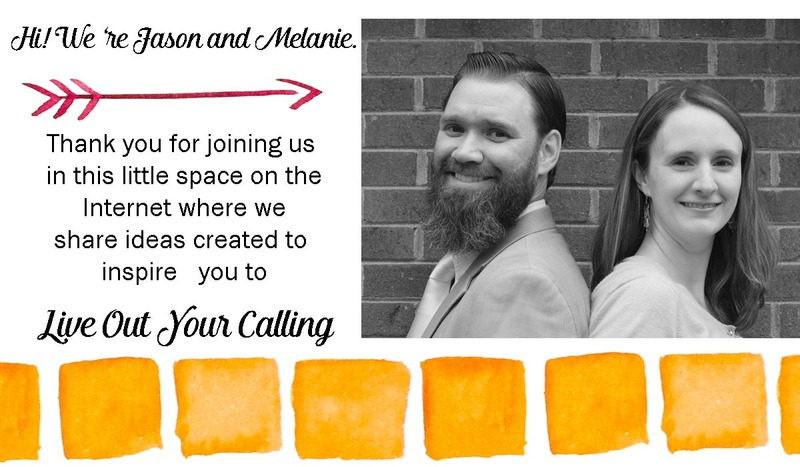 We applied for the PLUS membership this year because we purchase so much in bulk for our large family. 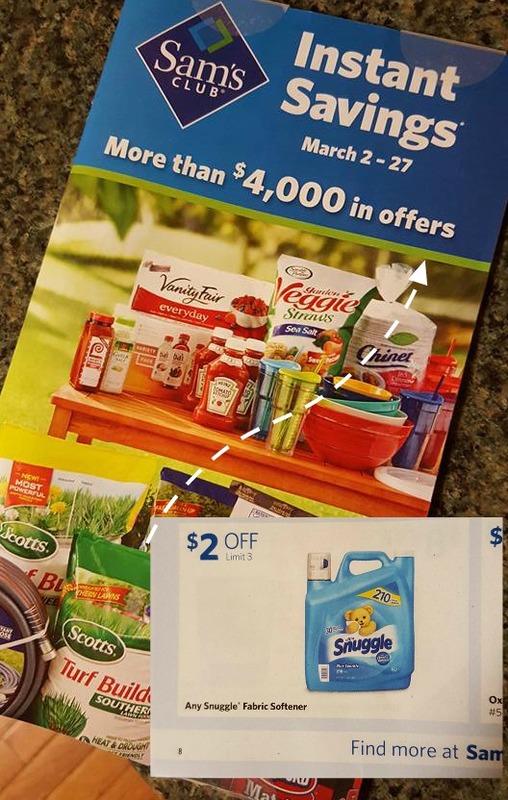 The Sam’s Club Instant Savings book is one of my favorite things about Sam’s Club! 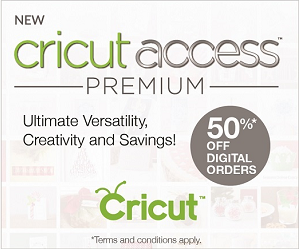 I plan my shopping schedule around it, and I’m always looking forward to what items will be on instant savings each month. Are you a Sam’s Club member? If so, be sure to keep an eye on the mailbox for the March Instant Savings Book. 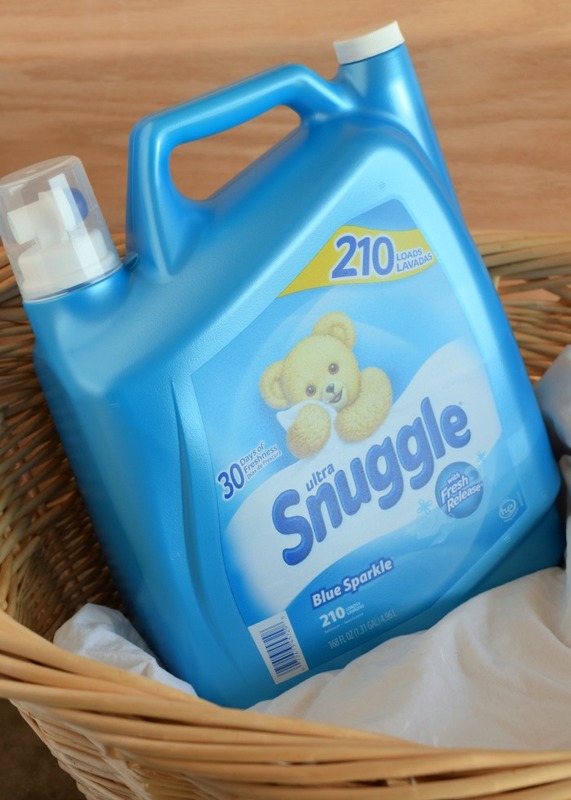 It has great savings on featured Snuggle® laundry conditioners in this month’s book! Always the hardest thing to do when doing laundry!! Fitted sheets drive me crazy! good to know how to do it right! ugh! the word job ever- that is why I have only one set of sheets per bed. I never have to fold them, I just put them straight back on.